It may seem like the recipe for a podium finish begins and ends with the car and the driver, but having a well-organized pit area and a properly equipped crew is crucial factor for success on the track as well. Some of these items might seem like incidental conveniences, but once the race starts, knowing exactly where, say, your tire pressure gauge is can be the difference between a champagne shower and a warm consolation beer. Here’s a few items that every racer should always have trackside. 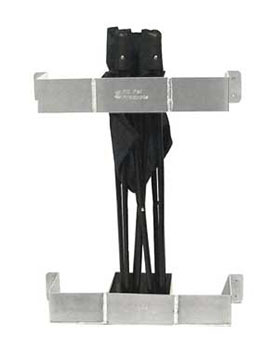 Pit Pal Jack In The Pouch – Made from .090 TIG welded aluminum, this wall mounted pouch for a racing floor jack features a fully enclosed back and bottom. Keep your jack secure during transit, increase floor space, and always know exactly where you left it when timeliness is a factor. 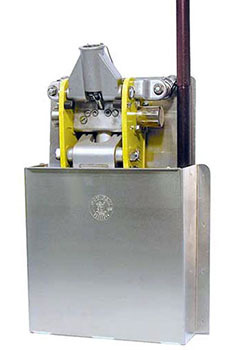 The Jack in the Pouch measures 17.5 inches wide, 24.25 inches tall and 5.125 inches deep. Pit Pal Large Tire Pressure Gauge Pouch – Stop wasting valuable time in the pits searching for a tire gauge! With the Large Tire Pressure Gauge Pouch you’ll know where it is at a moment’s notice. Storing your tire pressure gauge off the ground also means it’s much less likely to get damaged too. 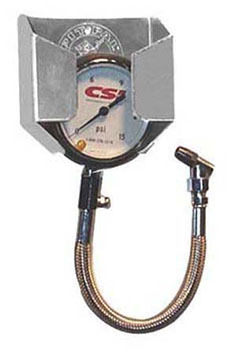 This large sized tire pressure gauge pouch measures 4.75 inches high, 4.25 inches wide, 2.375 inches deep, and fits a gauge up to 4.125 inches in diameter. Pit Pal Collapsible Chair Holder – Keep your folding chairs securely stowed in your trailer during transit and create more floor space in the process. Accommodating up to three chairs per holder, this handy storage solution measures 4.125 inches high, 23.125 wide and 7.125 inches deep. Longacre 24 Volt Pit Impact Gun with Charger and Case – While impact guns make the life of a mechanic a whole lot easier, hose-less impact guns take the convenience and ease of use of impact tools to another level. With true portability, any place you need to make a repair or swap tires you can have the speed and ease of use of an impact gun with you, no strings attached. With 330 pound-feet of torque and a variable speed trigger that ranges from 0-2000 rpm, this impact gun will make short work of stubborn lug nuts, and it also features a built in LED work light for use in dark areas. 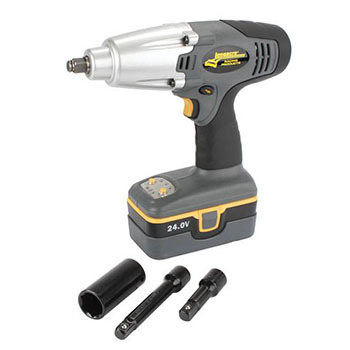 Includes one NiCad battery, 1” 6-point lug nut socket, 3 and 5 inch extensions, and a carrying case. 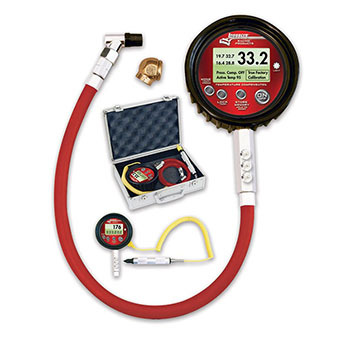 Longacre Temperature Compensated Tire Pressure Gauge and Pyrometer – When your vehicle's tire pressure is a mission-critical aspect of its performance and you need accuracy closer than +/- 1 psi, this is the tire gauge for you. Winding Road Racing Log Book Holder Kit – If you’re going to race your race car, you’re going to need to show your vehicle log book to the race officials in order to do so. What better place to keep your log book than in the vehicle it pertains to? 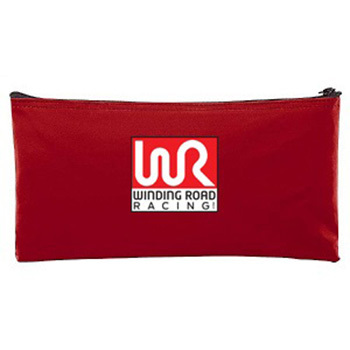 This water resistant red vinyl zipper bag is emblazoned with the Winding Road Racing sigil and we’ve lovingly included a zip-tie to secure the bag inside your racing vehicle so you'll always know right where to find it.